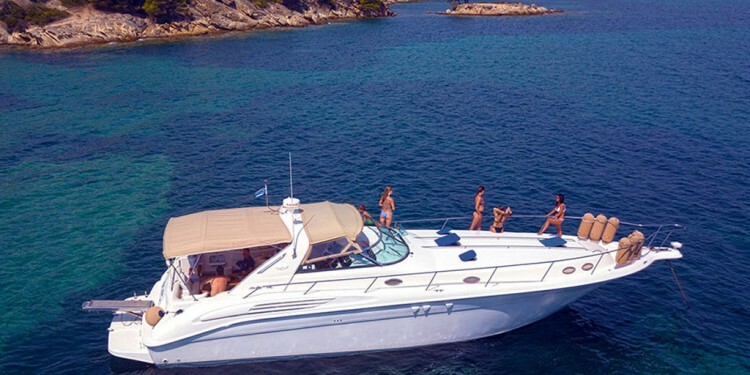 The Sea Ray 450 Sundancer was one of the largest and innovative sportcruisers since the first moment she was introduced. Her open styling has held up well over the years and with a extra wide beam she offers a particularly comfortable interior in very elegant surroundings. 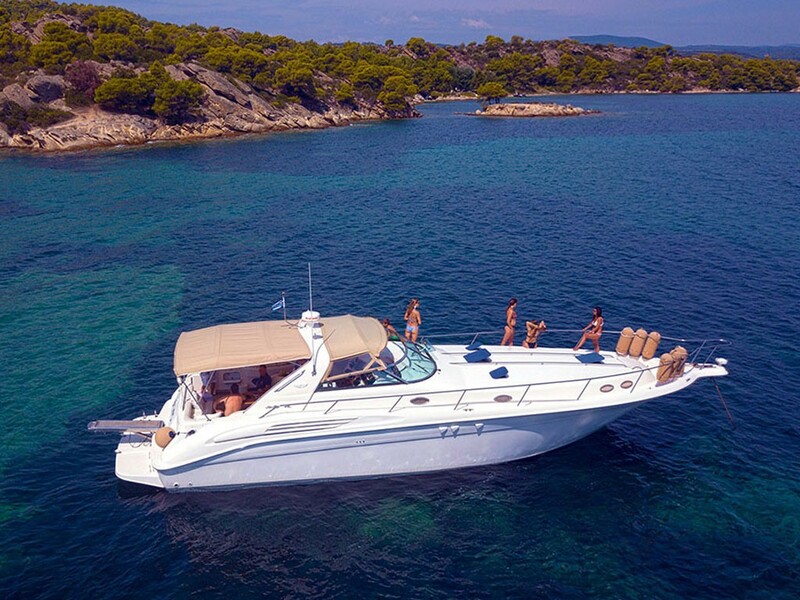 With two private staterooms fore and aft, two full heads, a convertible salon sofa and a fully equipped galley she becomes an ideal yacht for a comfortable and autonomous trip. On the deck an extra large U-shaped seating surrounding a handmade wooden convertible table can host up to 10 people.